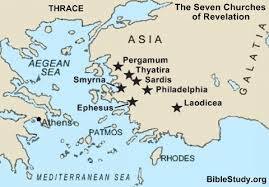 Ephesus was one of the more important cities in the New Testament. At various times it is associated with Paul, the apostle John, Apollos, Timothy, and Priscilla and Aquila. Paul preached there for 3 years (Acts 20:31). At least four New Testament letters are addressed to this church, Ephesians, I and II Timothy, and Revelation 2:1-7. Many commentators also believe that John’s three epistles were written to the church in that area as well. Outside of these letters, Paul also wrote several letters from Ephesus(I Cor. 16:8-9). All of this paints an impressive picture of Ephesus’ importance in the New Testament age. Ephesus contained the Temple of Diana, which was one of the seven wonders of the ancient world. This temple was 425 feet long and 260 feet wide. It was also a safe haven for criminals. If you committed a crime you could go there and be safe from prison. Immorality was rampant in the temple. Orgies were common place along with men who had been castrated so they could serve Diana. Ephesus also had a coliseum that rivaled the one in Rome, one of the biggest harbors in Asia Minor, and she was a major postal route where you could easily get to other cities. A large, important, sexually immoral, idolatrous city, right along a major road, with a huge harbor, and many people. It made Paul drool with excitement (I Cor. 16:9). When we meet the church at Ephesus in Revelation 2:1-7 she is working hard for the name of Christ. The word translated “labor” in Revelation 2:2 and 2:3 means to work until one is sweating. It is used by Paul in II Timothy 2:6 to describe the “hard-working” farmer. This church is not a lazy 25 year old living in his mother’s basement. She is diligent, hard working, preaching the gospel, making disciples, worshiping God, and evangelizing her neighbors. Most importantly, they do not do this for self glory, but they do it for the name of Jesus (Rev. 2:3). Their motivation was correct. But the church at Ephesus was not just fighting the good fight. They were persevering. Lots of churches fight the good fight for a few years or maybe a couple of decades. But Ephesus had not become weary. She was pressing forward, showing patience in her labors. She did not become discouraged and give up. She did not get tired of pushing away false teachers. She did not become tired of working for the Kingdom. She was still in the fight. The church at Ephesus had been warned by Paul that savage wolves would come in and try to destroy the flock (Acts 20:30). Therefore when we read about her in Revelation she is carefully guarding her doctrine. She “cannot bear evil men.” She tests men who claim to be apostles (Rev. 2:2). She hates the deeds of the Nicolaitans, a group that probably promoted idol worship and sexual immorality within the church (Rev. 2:6). Notice here that she does not just reject sin. She rejects the men who bring that sin into the body. Evil men, men living wicked lives, are cast out. False teachers, no matter how many degrees they have and what their reputation, are tested. If their doctrine is false and they are found to be liars they are rejected. (See also II John 1:10, III John 1:9-10). Ephesus is a hard working, theologically sound, persevering church, that is working for the name of Jesus. What could possible be wrong? You know that feeling when Mom says, “Son you did really good on that test, but…” Or when a parishioner says, “Great sermon, but…” Well that is what Jesus does. He knows their works (Rev. 2:2) both good and bad. 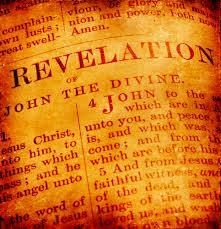 Revelation 2:4 is one of the most famous verses from Revelation. Despite all the good there is one bad thing. And it is really bad. They have left their first love. There is some debate about what this means, but I think it refers to that affection and love the church had for Jesus and His people when they were first founded. For John love of Jesus and love the church cannot be separated (I John 3:15). I believe this church had lost her love for Jesus, that inward passion and fervor for Him that naturally leads to sacrifice for Jesus and His people. In the beginning it was not this way. Paul stayed there 3 years. They wanted to learn and grow. They hungered for the Word. They burned their pagan books in the streets no matter how much they were worth (Acts 19:19-20). They loved Paul (Acts 20:37-38). The book of Ephesians is one of the few New Testament books with no clear indication of major problems. Jesus is telling them to remember what it was like. Jesus tells them to do those works they did at the beginning (Rev. 2:5). How did they get this way? Revelation does not tell us. But I think they were fighting many, many battles. They were trying to keep false teachers and false theology out. They had been doing this for some time and have not grown weary. They were in a horribly wicked city. They were just trying to survive. In the middle of all this, it was hard to keep one’s love burning hot. Yes, they protected the members of the church at Ephesus. Yes, they were still fighting. But were they loving one another? Was their passion for Jesus clear and evident? We might think that verses 2-3 got Ephesus out of the woods. But Jesus is clear. They must repent. This word is used 8 times in the seven letters to the seven churches. Repent or perish is one of the key messages given to these churches. If that love does not return He will come soon and take away their lampstand (Rev. 2:5). The lampstand means their standing as a church will be lost (Rev. 1:20). Jesus will take his Spirit away from them. They will stop being a city on a hill and a light to world. They will become the darkness they are trying to fight. Churches need to test teachers, no matter what their pedigree. Just because a man claims to be an apostle or pastor or good teacher does not make him right. Members need to know God’s Word and the theology taught in it so they can spot false teachers. False teachers and wicked men should be rejected, not just their teaching. There is some truth in the phrase hate the sin love the sinner. But when it come to false teachers, liars, and men who reject apostolic doctrine they are to be shown the exit door. The only way to get rid of the sin is to get rid of the sinner. Churches must learn to endure. My generation is frankly awful at this. We have a hard time sticking with one wife, much less being faithful to Christ our whole lives. This carries over to churches who are faithful for a few years, but then falter. Often this comes down to a failure to pass on apostolic doctrine (II Timothy 2:2). Persevere may be the single most important message that can be given to young Christians and young churches. Lack of love is not made up for by having solid theology. Christ our Lord perfectly modeled love and fidelity to truth. He expects his churches to do the same. A true church will not pit doctrine and love against one another. She will guard her orthodoxy. But she will also guard her heart making sure that in the midst of battle it does become hard and cold. When we are rebuked through the Word the only option is to repent. Jesus expects his people to hear his voice and obey him. Failure to do so will end in a church being stripped of her title and left bereft of the Spirit. This is especially important for leaders in the church. We must model repentance when the Word dictates such a change.